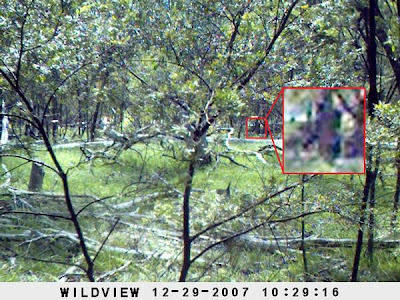 “From my viewing of the photos, the footprints were made by a large bipedal (two legged) animal, and in my opinion, more than likely a yowie,” Professor Opit said. “It appears as if the yowie has leapt over Mr Stapleton’s gates and landed quite heavily on the balls of its right foot, not flat footed, and this left a deep impression. “Most people don’t believe they exist for one second but I’m fortunate that I’ve actually seen one and heard their calls,” Professor Opit said. “A few years ago, I heard a growling near the tree line when I was doing some work on my shed at night,” he said. “I’d never heard anything like it before, it was too big a volume in noise to be a dog. “It frightened the daylights out of my two German Shepherds who were with me at the time. “Also, at the top of the mountain, the dams are full and there is plenty of feed for the cows but nowadays they choose to stay down near the house. “The creek that night was four and a half to five metres deep and 120 to 130 metres wide, so I’m pretty sure it would have been a very big effort to go to if it was someone playing a practical joke,” he said. CFZer Paul Clacher dug up this great snippet - thanks Paul! A HAWKESBURY resident may have stumbled upon one of the most exciting zoological finds of the decade – a small marsupial previously thought to be extinct on Australia's mainland. East Kurrajong resident and Gazette employee Nicole Palmer was driving along Roberts Creek Road when she spotted a couple of unusual-looking animals last Wednesday night about 7.30pm. "There was two of them. One was smaller. I pulled up and the larger one kept hopping towards the car," she said. 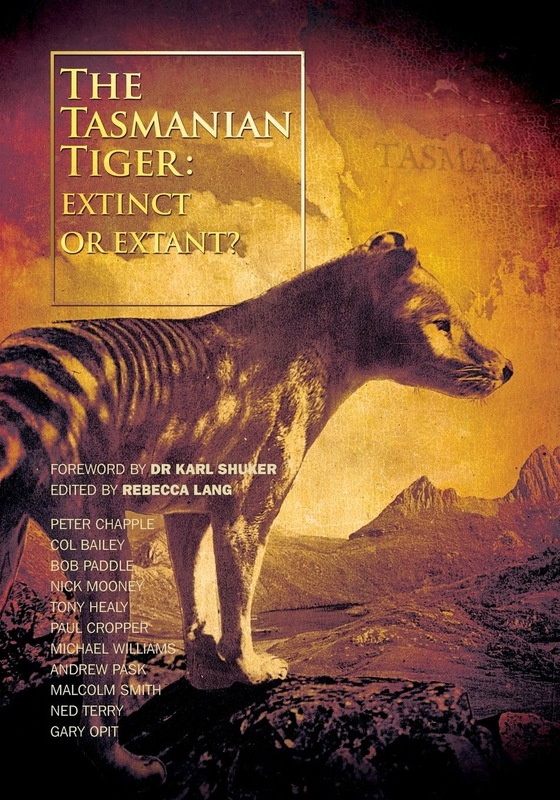 "They were both dark brown with white spots around its jowl and neck area, 3-4 inches of the tip of its tail was white and it didn't look like a tiger quoll, it was much smaller and less heavy." From her description, NPWS ranger Vickii Lett and University of Western Sydney biologist Professor Rob Close believe Ms Palmer may have spotted two eastern quolls. Eastern quolls are about the size of domestic cats with pointed noses and soft fawn, brown or black-coloured fur broken up by white spots, and a bushy, white-tipped tail. They are much smaller than their cousins, the endangered Spotted-tail or 'Tiger' quoll, which has a coarse, reddy-brown coat with white spots and is half as big again as the eastern quoll. The eastern quoll was last seen on the mainland in the 1960s in the Sydney suburb of Vaucluse. Since that time dogs, cats, foxes and people have encroached on the small marsupial's habitat to the extent that they are now believed to be extinct on the mainland. However, eastern quolls remain prolific in Tasmania, preferring to live in dry grassland and forest bordering farm paddocks. 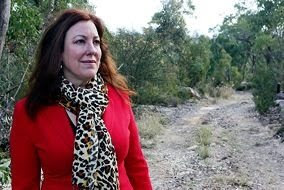 Ms Lett said National Parks would be acting on the sighting of the protected species. "In the meantime, we'd like residents to keep an eye out and if they see something unusual, take a picture of it with their camera or mobile phone," she said. "We'd also like people in the area to be careful about letting their dogs and cats roam around." Dr Close, who recently urged residents to keep an eye out for signs of rare wildlife, said he was thrilled about the sighting. "If it is in fact a true sighting, it's very exciting," Dr Close said. "There's been a few sightings over the past few years, unverified, so it raises hopes that they are still around." Residents in the North Macksville area have been urged to keep their eyes out for a carnivorous visitor, in the shape of the endangered spotted-tailed quoll. A resident was recently alarmed by shrieks from his chook pen and found an unwanted visitor – Australia’s largest remaining carnivorous marsupial. The spotted-tailed quoll was captured and released into the wild by residents, who were intrigued to see the rare species in land that has been identified as the favoured site of the Macksville bypass through North Macksville and Old Coast Road. 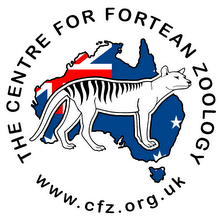 World Wildlife Fund spokesperson Samantha Vine said the spotted-tailed quoll had become vulnerable due to land clearing (the spotted-tailed quoll ranged in a home habitat of up to 500 hectares), introduced competitors and 1080 baits. She urged residents who saw the rare nocturnal creatures to call WWF to report them, and treat them gently. “Unfortunately, quolls have a great love of chickens and can track the smell of them for 6km,” she said. Once a spotted-tailed quoll had found a chook pen, Ms Vine said it was likely they would continue to visit it. She urged people who had problems with chook attacks to contact WWF to get guidelines on how to ‘quoll-proof’ their property. IT may be the Tasmanian devil's spotted relation, but this cute creature is one of a handful of native endangered species to call Sutherland Shire home. Known as a spotted-tail quoll, the Foundation for National Parks and Wildlife hopes drawings of this carnivorous Australian marsupial in the Dymocks Golden Paw Awards 2008 will help with its conservation. "Most threatened species are so rare that we often don't know what they look like,'' said Leonie Gale, CEO of the Foundation for National Parks and Wildlife. Golden Paw is an annual drawing competition for NSW and ACT primary school children to help raise money and awareness to protect native endangered wildlife. Other endangered species found in the shire include grey-headed flying-foxes, red-crowned toadlets, Rosenberg's goannas, little terns, powerful owls and osprey. Ms Gale said although the loss of these species in one local community such as the shire may not seem significant, if there were few other places where these animals were found, the loss from one community could have a major impact on the survival of an entire species. Dan Grover, CEO of Dymocks, said that for every drawing entered, Dymocks would donate $1 to the Foundation for National Parks and Wildlife. The money raised will go towards conservation projects for little penguins. An endangered species rarely ever seen in the local district has been discovered by a Spicer’s Creek grazier. Geoff Taylor has had the unusual experience of sighting not one but two spotted-tailed quolls in recent weeks. A native carnivore, the quoll or ‘tiger cat’ is almost unheard of in this area and sightings have not been reported since the early 1950s. “I was fairly surprised,” Mr Taylor said after finding the animal in the family chookyard on his ‘Gunnegalderie’ property 25kms north-east of Wellington. Recognising the extraordinary find, he immediately contacted WIRES but the animal had been injured in its hunting expedition and was later euthanased. 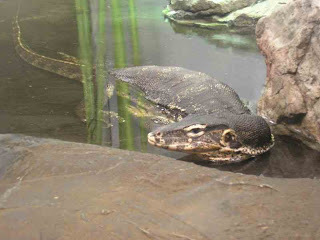 Mr Taylor’s second sighting occurred a few weeks later when he was driving home from town. “It was on the road about four or five kilometres from our house,” he said. “I knew immediately what it was and got a pretty clear look at it. As far as habitat goes, the spotted-tailed quoll favours forest woodland and dense coastal heathland. According to a fact sheet published by the Department of Environment and Heritage, its distribution has markedly decreased since European settlement, and it is now uncommon across most of its range. “The small Queensland subspecies is nationally endangered and the larger south-eastern subspecies, although common in Tasmania, is listed as nationally vulnerable,” the fact sheet says. The discovery has prompted excitement among local wildlife enthusiasts. At first, Mike Augee was sceptical about the find but certainly excited by the prospect. “It’s quite uncommon as they are thought to be totally non-existent in this area,” he said. According to Mr Augee, competition with foxes and the threat of domestic animals such as dogs and cats have contributed to the quoll’s scarcity. “The population that is left cannot compete with foxes which are certainly dominant,” he said. Local Rural Lands Protection Board ranger Lisa Thomas was also thrilled by the finding. “I find the discovery a wonderful experience and feel privileged that we have evidence of them in our precious neck of the woods instead of being envious of others,” she said. Mrs Thomas said the quoll-spotting also provided a further incentive to get a robust monitoring system up and running. Meanwhile, for Mr Taylor it’s business as usual, but he is planning to continue with fox eradication on his property to give the quolls a chance at survival. “I like to see the native fauna coming back,” he said. -Threats: Predation by foxes; competition with foxes and feral cats; poison baiting for dogs, foxes and rabbits; and chance events such as bushfires and disease. -Food sources: It forages in trees and on rock faces as well as on the ground. It is largely nocturnal and eats small to medium sized mammals and birds, such as possums and rosellas, and also large insects, spiders and scorpions. The History Channel will be in search for evidence of British Big Cats as part of their 'Monster Quest' series, and will be filming at the end of March, beginning of April. 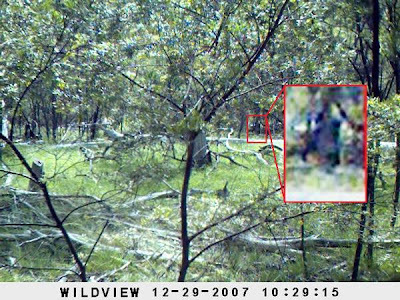 The search is on for the evidence, video footage, casts, photographs recordings, eye-witness accounts. Have you seen a big cat in the British countryside, more importantly have you any evidence? A search for a suitable location, on land with frequent sightings is also being sought for two nights filming. Big Cats in Britain press release. Can you help. Big cats are reported everyday from somewhere in Britain, yet the hard evidence to support these black cats is virtually non-existent. People are obviously seeing something, but what. Can you help clear up the mystery? 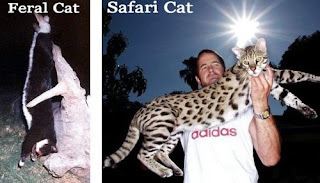 Big Cats in Britain (BCIB) is the only group in Britain dedicated on a daily basis to finding out the answers to the big cat mystery. We have a core of experts that we can call upon, including scientists, zoologists, professional trackers, and police officers. 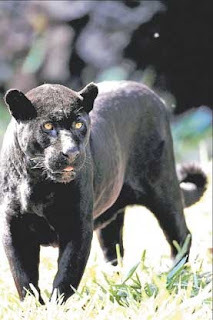 There is no such thing as a black puma, and black leopards are relatively rare in their country of origin. People in the UK are seeing something, but what? We need that evidence.